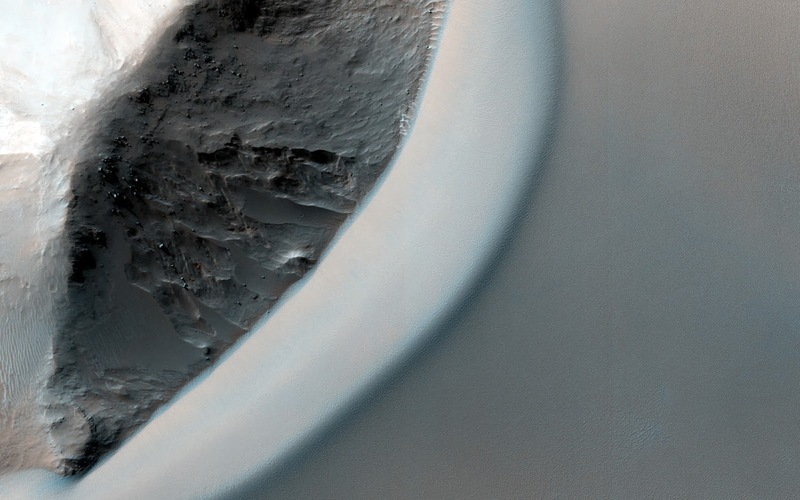 This dramatic image show dark rippled bodies of sand, sometimes in the form of dunes, streaming through Ganges Chasma. The floor of the canyon is covered by hills and mesas, perhaps remnants of chaotic terrain that formed from sudden collapse as water was withdrawn to form outflow channels. The sand moving through (generally from east to west, or upstream) interacts with the topography to make streamlined shapes. 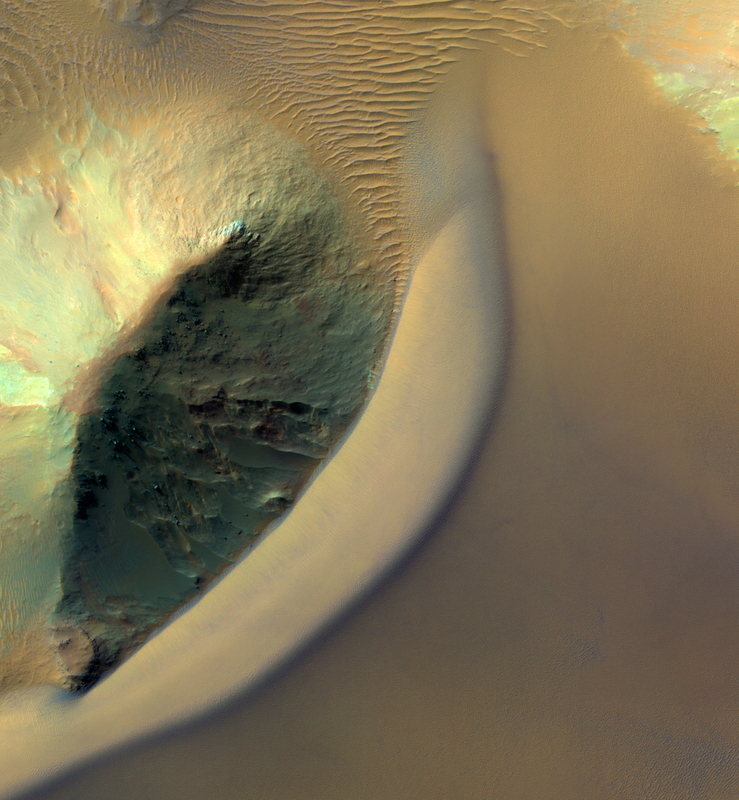 A closeup image in enhanced-color shows one hill with a dune piling up to the east. This is a stereo pair with ESP_033748_1720.